Even on a rainy September day Svente manor will keep you warm thanks to its unique collection of last century fireplaces with fire burning and logs crackling. 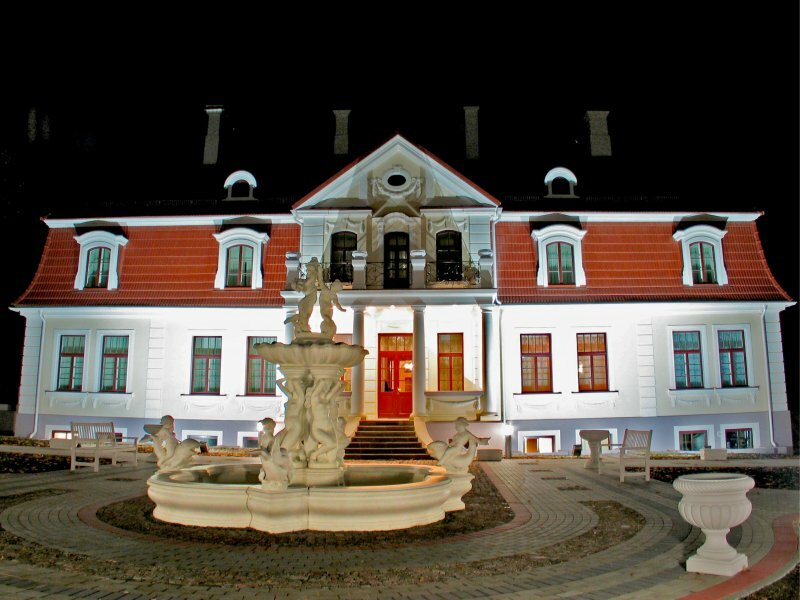 This cozy manor is situated just 12 km from Daugavpils, the second biggest Latvian city. Svente manor was built in 1912, and it belonged to the old family of Ziebergs-Platters, whose first mentioning in the chronicles dates back to the 13th century. The manor with a rich dramatic history, once being very close to becoming ruins, is now completely renovated, offering 4 star accommodation and great relaxation facilities such as Russian, Turkish and classical saunas, and a restaurant, serving delicious Italian cuisine meals. Each of the 12 rooms is named after and holds a special ambience of a particular month of the year. Near the guest house there is a museum of WW2 military vehicles.